Dell India announced a new addition to its Inspiron laptops in the 5000 series, ramping up the flagship Dell Inspiron portfolio. 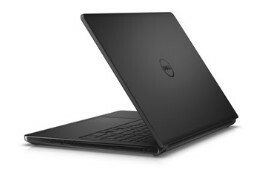 The new Dell Inspiron 5567 devices deliver some of the best visual experiences and vibrant graphics for writing the first chapter of your future career, learning about a country you’ve never been to, binge-watching your favorite TV program and more. With multiple colors and configurations, Dell’s new Inspiron lineup has every individual, student and family covered for their entertainment, computing and content creation needs. New Inspiron 5567 in the 5000 Series is crafted to be portable, so you can stay productive and keep in touch wherever you are. It’s thin—only 23.3mm—and has a light, easy-open design. Attractively designed in a variety of brilliant colors & a stylish brushed hairline palm rest adds to the elegance and the optional backlit, bottom-mount keyboard makes typing more comfortable. Designed to deliver exceptional value, the Inspiron 15 5567 is perfect for individuals and families who share a PC. Protect your technology no matter where your adventures take you with Dell Premium Support, Dell’s service for consumer PCs that gives customers proactive automated support for both hardware and software. Dell is the first and only company to combine proactive automated support with 24/7 access to expert technicians, on-site service after remote diagnosis, and support for both hardware and software issues.